This video has gone viral today and I can see why. Girls and women need not be defined by the limited archetypes that reality shows and music videos offer. On September 11 and September 24, I wrote about the gender socialization of young boys and girls, specifically the construction of sexuality. 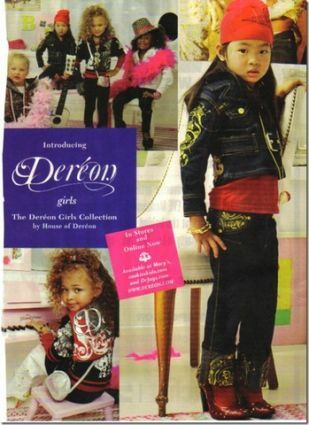 One of my students turned this advertisement for House of Dereon’s (Beyonce and Solange Knowles’ clothing company) children’s line. This is the first I had heard of it. Apparently, it made a debut back in May and there are numerous responses to be found online that echo the same sentiment: disgust.